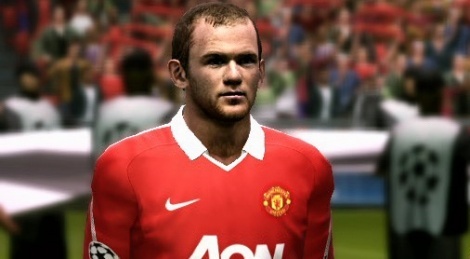 PES 2012 demo out this Wednesday! The first PES 2012 demo will be available for download this Wednesday. The news has just been confirmed with an official Konami press release, that was just posted up on WENB. You can find the full press release there. Both demos will offer 10-minute matches, and will be available on Xbox 360, PS3 and PC. All difficulty levels will be present. Demo stadiums are the San Siro and the Maracanã (named as the Estadio De Escorpiao). Weather and time options will be set at random. There will be 3 camera options to choose from - Wide, Long and Pitchside. There will be no commentary for the demo. You will have to watch the Gamescom trailer when you load up the demo, but this will be the only time. You will not have to watch a trailer after every game. Players will also be invited to try out the new Challenge Training mode. In addition, there will be another demo that will be available in mid-September, which will reflect the final version of the game. Tottenham Hotspur, Bayern Munich, Inter Milan, Rangers, Club America and Internacional. - Massive thanks to WENB for posting up the press release.